Vice President Joe Biden will stop in South Africa to attend to the World Cup opening ceremonies. 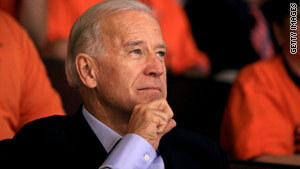 (CNN) -- Vice President Joe Biden travels to Africa this week with several stops, including South Africa where he will represent the United States at the opening ceremonies of the 2010 World Cup. Among other engagements, Biden will meet with Egyptian President Hosni Mubarak on Monday "to discuss a full range of bilateral and regional issues," according to a White House statement. The vice president had planned on visiting Egypt in March, but Mubarak fell ill and the trip was scrapped. During his stop in Kenya, the vice president will discuss peace and stability in the region -- especially in Sudan and Somalia -- with Kenyan President Mwai Kibaki and Kenyan Prime Minister Raila Odinga. Biden will be joined by his wife, Jill, during the trip. The two will also stop in South Africa for the World Cup opening ceremonies on Friday and to watch the U.S. team take on England in its first game on Saturday.